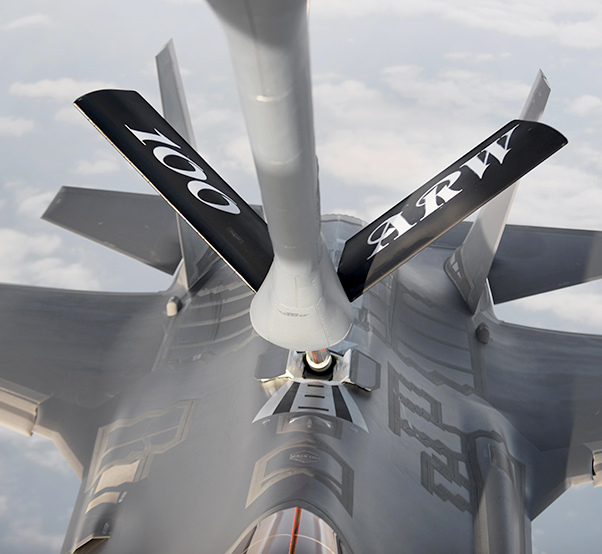 An F-35A Lightning II receives fuel from a 100th Air Refueling Wing KC-135 Stratotanker over the Atlantic Ocean April 15, 2017. 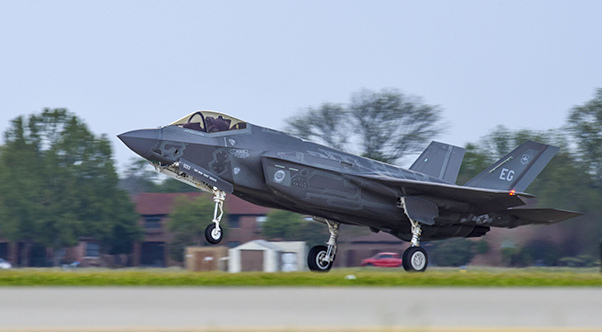 The F-35As are conducting their first overseas deployment during which they will conduct flying training with NATO partners. 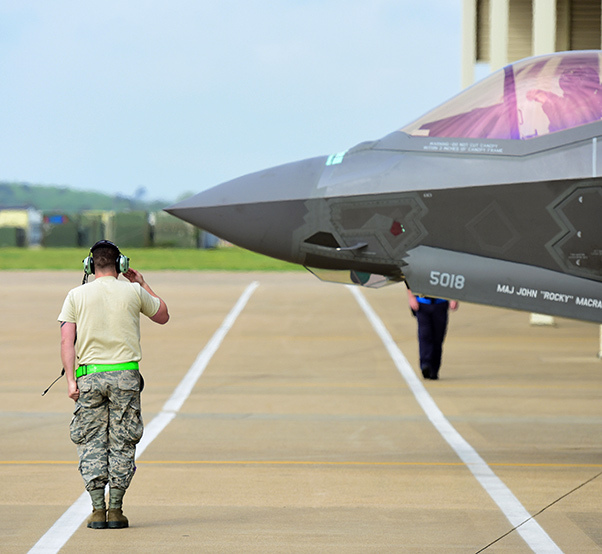 A U.S. Air Force crew chief assigned to the 58th Aircraft Maintenance Squadron, Eglin Air Force Base, Fla., salutes the F-35 Lightning II pilot as he prepares for takeoff at Joint Base Langley-Eustis, Va., April 20, 2017. 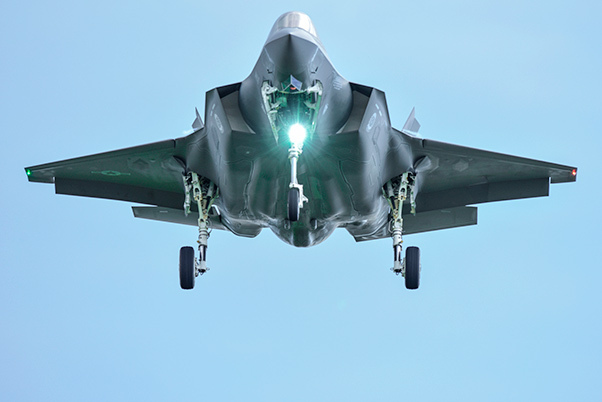 With its aerodynamic performance and advanced integrated avionics, the F-35 Lightning II provides next-generation stealth, enhanced situational awareness and reduced vulnerability for the United States and allied nations. 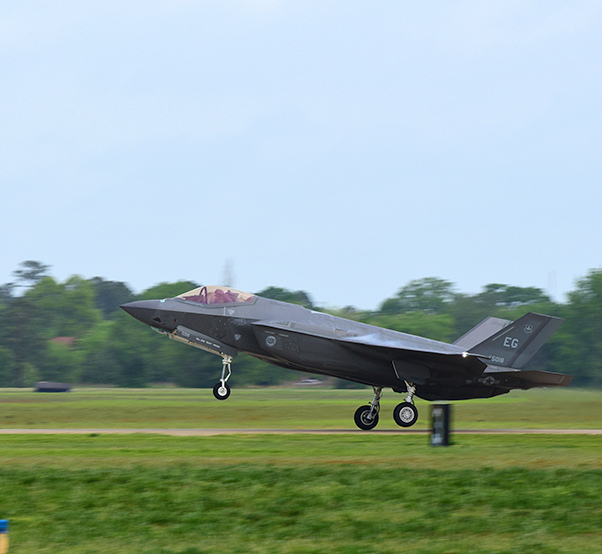 A U.S. Air Force F-35 Lightning II assigned to Eglin Air Force Base, Fla., takes off during ATLANTIC TRIDENT 17 at Joint Base Langley-Eustis, Va., April 20, 2017. The exercise simulates a highly-contested and operationally-limited environment where U.S. and partner pilots, along with their ground crews, can test their readiness. 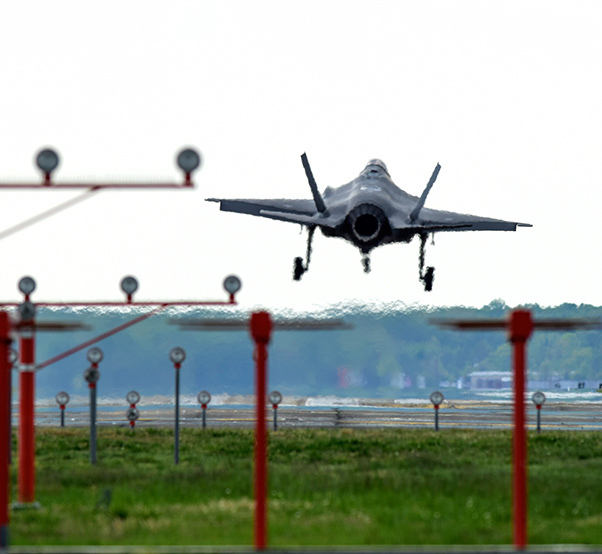 A U.S. Air Force F-35 Lightning II assigned to Eglin Air Force Base, Fla., prepares to land during ATLANTIC TRIDENT 17 at Joint Base Langley-Eustis, Va., April 16, 2017. The goal of the exercise was to enhance interoperability through combined coalition aerial campaigns. A U.S. Air Force F-35A Lightning II, assigned to Eglin Air Force Base, Fla., lands on the flightline during ATLANTIC TRIDENT 17 at Joint Base Langley-Eustis, Va., April 17, 2017. 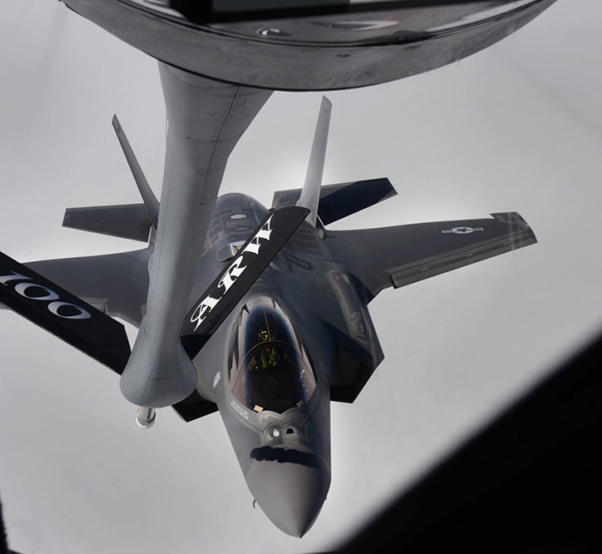 Adding the F-35A to the training increased capabilities and added another technologically advanced fighter to the allied airpower capability. A U.S. Air Force F-35 Lightning II assigned to Eglin Air Force Base, Fla., prepares to land during ATLANTIC TRIDENT 17 at Joint Base Langley-Eustis, Va., April 16, 2017. Allied nations participate in similar exercises throughout the world; however, this is the first to focus on greater integration of the U.S. Air Force’s fifth-generation aircraft capabilities.